Note that there is a handy visual way of cropping the image. 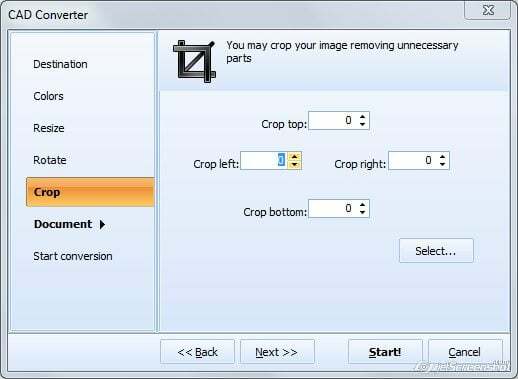 Press Select button and select the area you want to crop. Thank you for another great converter! Thansk for asking! But we can’t provide you with a solution, our programs do mot convert JPEG images into DXF drawings. I am CAD user my requirement is .jpg to .dxf file [ I take a picture and after that convert by .dxf file and want to open as a pattern file so give me solution.